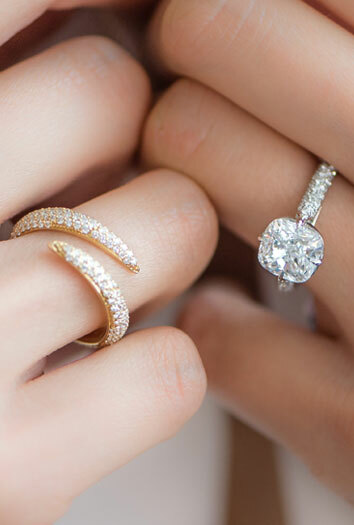 If you are an October birthday, you are one of the lucky ones! Opals are rich with color, lore and mystery and are one of the most globally treasured stones. Opal is the product of seasonal rains that drenched dry ground in regions like Australia’s semi-desert “outback.” The showers soaked deep into ancient underground rock, carrying dissolved silica (a compound of silicon and oxygen) downward. During dry periods, much of the water evaporated, leaving solid deposits of silica in the cracks and between the layers of underground sedimentary rock. The silica deposits formed opal. Because of that process, opals actually contain up to 20% water! Throughout most of history, opal has been regarded as the luckiest and most magical of all gems because it can show all colors. Because opal has the colors of other gems, the Romans thought it was the most precious and powerful of all. 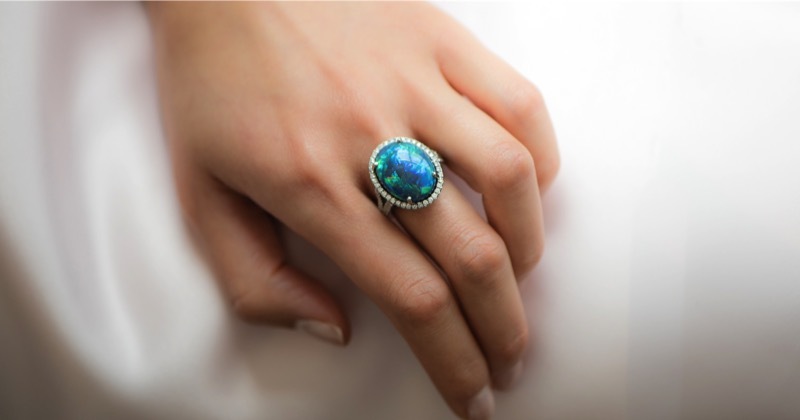 Ancient Greeks believed opals gave their owners the gift of prophecy and guarded them from disease. It was thought to have the power to preserve the life and color of blond hair. See our handmade platinum and diamond cocktail ring with a 12.31ct Lightning Ridge Australian Opal here.